This is a seven-passenger SUV concept that shows the stylistic and technological future of the Japanese manufacturer. Nissan may not have introduced new models at the last North American International Show held in Detroit in January, but that didn’t stop them from wowing several experts of the industry with its XMotion concept. Nissan is very clear about its XMotion SUV, pronounced “Cross Motion”. 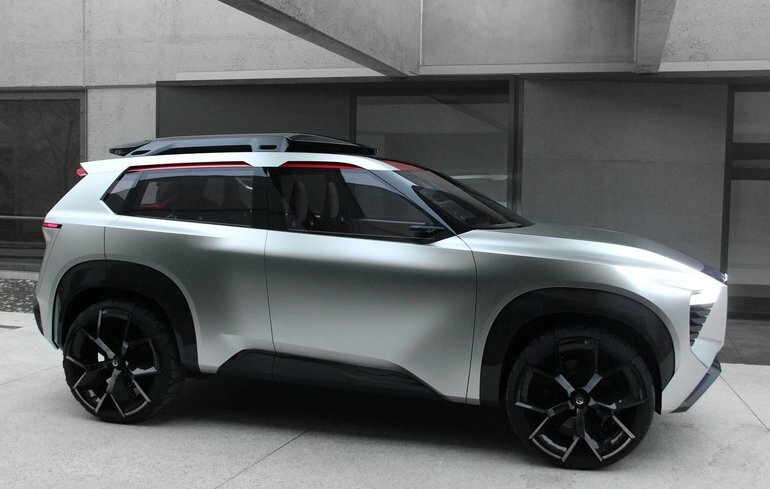 This is a seven-passenger SUV concept that shows the stylistic and technological future of the Japanese manufacturer. With the XMotion, we not only see where Nissan SUVs are going but really the future of the SUV for the entire automotive industry. Indeed, the XMotion is equipped with a highly technological cabin where we find no less than seven screens. These screens can be controlled using voice commands, but also with the use of eye movements. In addition, a virtual assistant has been designed for the new XMotion. The latter takes the form of a Japanese koi fish and is activated as soon as the door is opened with the help of our fingerprints. This fish can drive the vehicle for us, but it can also give us useful information about the vehicle or sights we see along the journey. Visually, the Nissan XMotion is beautiful, and many believe that its style would fit very well on a new generation of Nissan XTerra. That, however, remains to be seen. "With the Xmotion concept, we’re exploring the most robust and powerful side of Nissan's intelligent mobility. We drew on the aesthetic and technical know-how passed down from one Japanese generation to another to create a timeless visual impression," said Alfonso Albaisa, Nissan Motor Company's Senior Vice President, Global Design. The combination of Western and Eastern concepts that we can see on and off continues inside the Xmotion, where advanced connectivity and stand-alone technologies mingle with modern Japanese digital art and cultural craftsmanship. Xmotion may seem to have a minimal design language, but a closer look reveals layers of detail that make this concept exceptional. " To learn more about Nissan's new SUV range, contact us today at Half-Way Nissan!